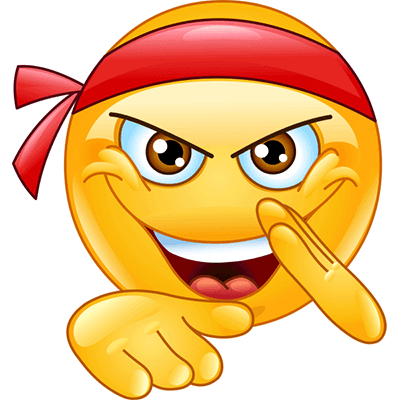 Why put up with ridiculous Facebook comments when you can karate chop them with this cool smiley. This little smiley is our resident martial arts expert and he's ready to bring his hand-chopping expertise to all your Facebook conversations. The next time you need to cut someone off at the pass, give this smiley a try!